In financial planning, children's education fund is an important part of it unless you don't wish to have a child, or do not have a child for some reasons. This education fund is for their tertiary education (pre-U & university/college) when they graduate from secondary schools. How much should parent save for their children education funds? Is it RM50k, RM200k or RM500k? Of course this depends very much on which courses and where the children want to study. 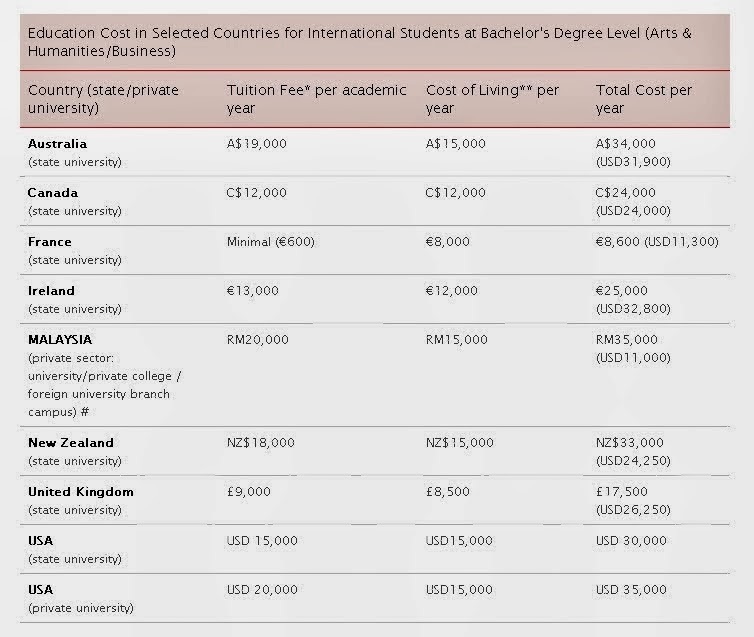 Here are some info from StudyMalaysia regarding average tertiary education cost in Malaysia's private colleges & universities. 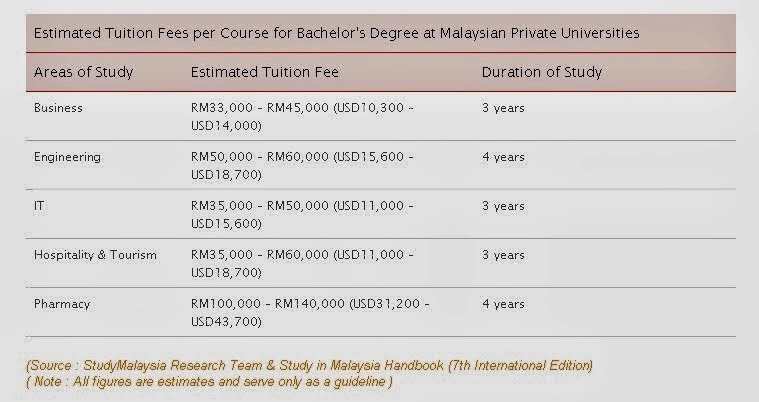 Yes, please study at UCTS (United College Two Sarawak) and generously contribute your tuition fees to the profit of its owners UMNO, UMNO's lapdog Taib and Taib's lapdog Wong Soon Koh. Education quality and school reputation not guaranteed. 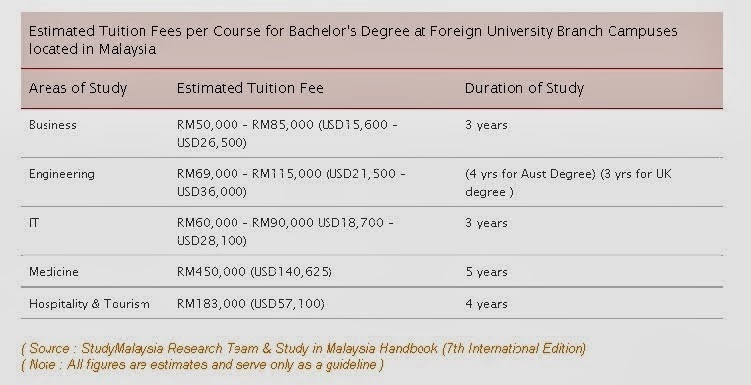 No jobs in Sibu after graduation is your business. 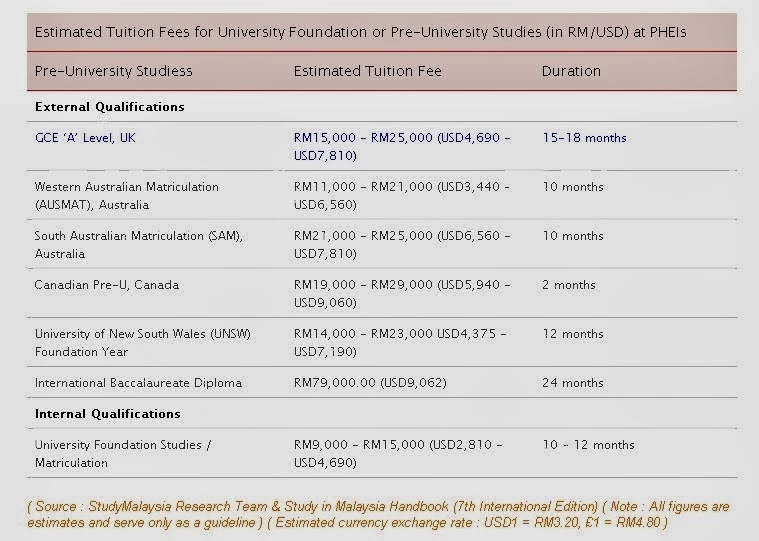 More or less same deal like last time with UCS (United College Sarawak), OK? Except that UCTS will bring in all the outside black and muslim trash as overseas students to stink up Sibu town, but that's OK, because the illustrious former CEO of now-defunct UCS and son of Soon Koh is now the Sibu Municipal Council vice chairman and can take care of all the trash.